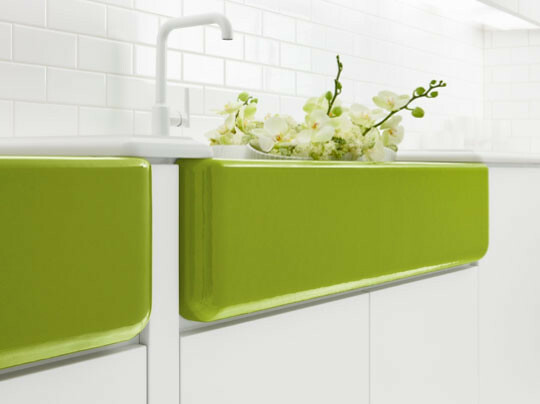 Kohler began offering colorful kitchens and bath fixtures in the 20s and has continuously updated the shades in its products to reflect changing time and tastes. 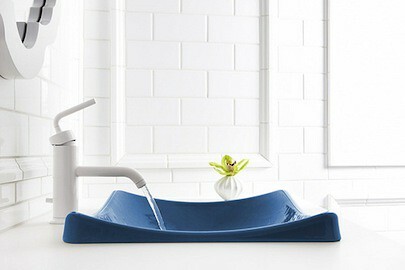 These shades from Jonathan Adler are truly 2012. 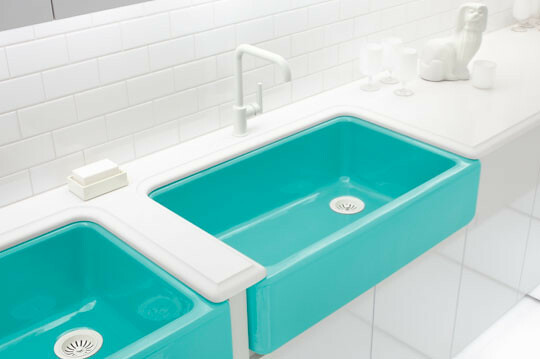 The collection consists of 5 sink styles in four vibrant shades. 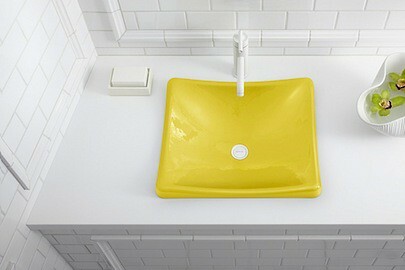 Each sink is made of enameled cast iron. 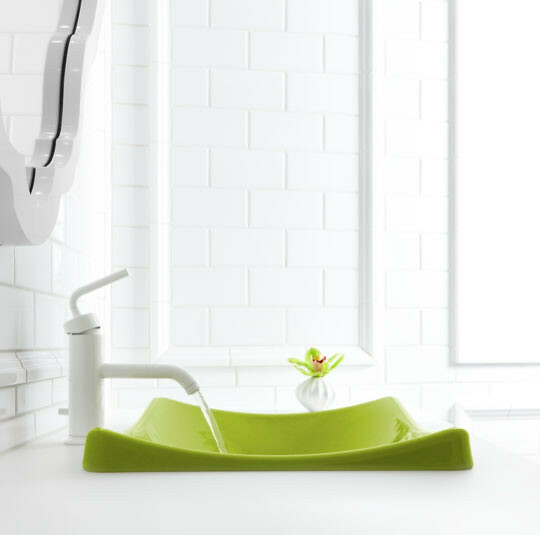 The designer, brings his singularly vivacious style to the kitchen and bathroom, creating this gorgeous sink collection , which comes even with a lifetime guarantee. Greenwich Green: Not Your Grandmother's Avocado! 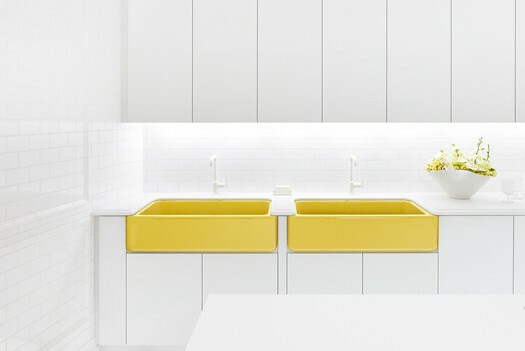 Piccadilly Yellow: A mod yellow that pairs well with white for a pop of unexpected color. 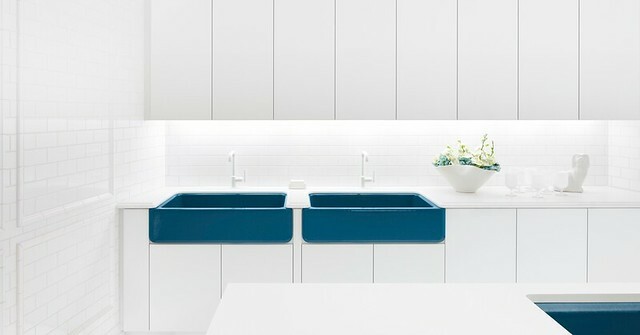 Annapolis Navy: A chic take on the classic nautical color scheme.